Are you fired up and ready for more fun at the piano? Fired Up! 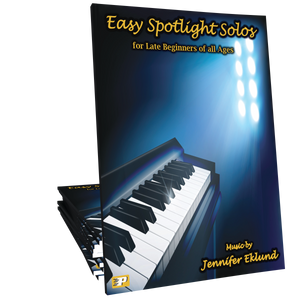 Level Two is designed for teen and adult beginners who have completed the first level of the series or for students transitioning from another late-beginner book. 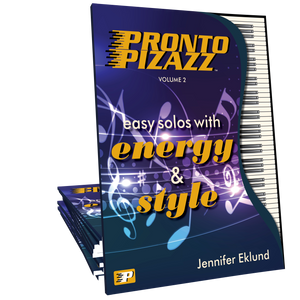 This volume features twenty-two memorable melodies in various styles and continues to cover music fundamentals with an increased focus on musicality and developing efficient practice strategies. Start making beautiful music today with a method that focuses on technique, artistry, and interpretation. 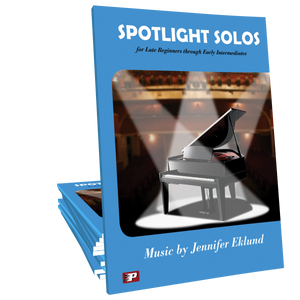 Orchestrated play-along tracks and piano duet tracks make practice sessions fun and effective! I have one student currently in this level. He plays almost every song from the beginning every week. He feels more accomplished playing out of this book. Hope level 3 comes out soon!! Fired Up 2 just saved one of my students. He had finished Movement 1 and struggled through the whole book, seldom practiced and wanted to quit. I started him on Fired Up 2 a few weeks ago and he is loving it! I'm using this for a teen who just finished Prelude. She is doing well and really likes Fired Up. She likes the sounds of the pieces and the ways that new concepts are introduced is more mature than other method books. I'm so glad that Piano Pronto has added these books. I am adding the Fired UP! Level Two book with Movement 1 for a returning adult student who had several years of lessons as a child. 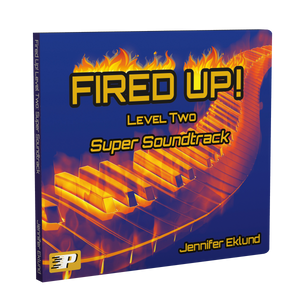 The familiar pieces and thoroughness of Mvmt 1 are appreciated, but the adult and contemporary sounds of Fired Up! are a welcome challenge for reading and moving around the keyboard more. 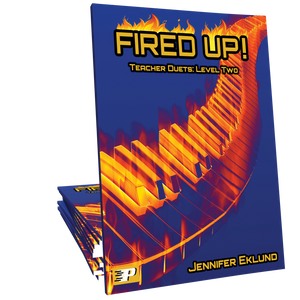 For existing teen students, Fired Up! will be a great supplement. I also appreciate the very different look to the engraving as compared to the Movement series...I do try to expose students to different engraving styles. 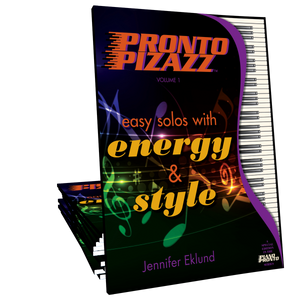 My students think these pieces are so fun that even though this is a “method book,” I’m supplementing Prelude & Movement 1 with them! They’re begging to play these. I can't wait to start this book this week with one of my students that just needed something to bridge the gap from beginner to the next level. The pieces are fresh and exciting! Thank you for another wonderful resource! I am so excited for this new series. I currently have an adult beginner with some knowledge of notes that is working through Prelude and she only started 2 months ago but is doing great! This will be the connector that wraps it all up for her to move on! I love all the pieces. Thank You!